Say hello to COFFEE PROJECT's newest branch at BGC with a BUY ONE GET ONE Promo happening today only, April 14, 2018! Share this post and present to the barista before you order to claim the promo. 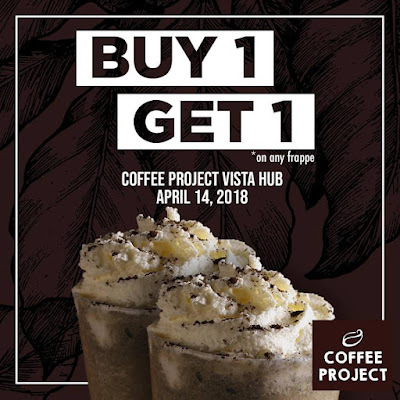 *Valid in Coffee Project Vista Hub BGC on April 14, 2018 only.